Earn $0.46 in Rewards credit (46 points) What's This? The Camelbak Bottle Brush Kit makes cleaning your CamelBak bottles even easier with brushes designed to reach every corner of your bottle. 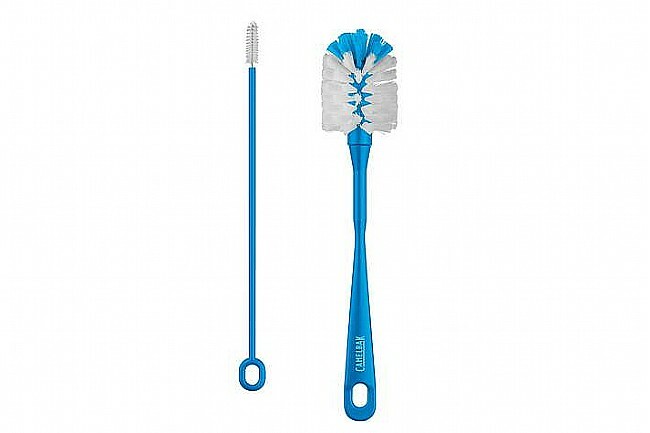 This 2-in-1 kit includes a larger brush for easy cleaning, and a smaller brush for cleaning valves or difficult-to-reach areas. The Camelbak Bottle Brush Kit is compatible with all Camelbak water bottles, tumblers, and travel mugs. Useful tool that is key to keep my bottles clean. Running good quality bottles in the dishwasher just ends up reducing their life and making them junky over time. I like to scrub mine with a drop of liquid dish soap and a generous squirt of hot water. These brushes are just the thing. And if you're using bottles with a one way valve opening that little brush is exactly what you need.